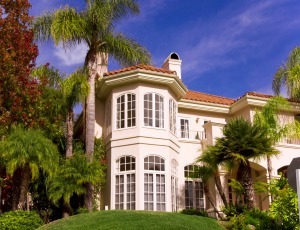 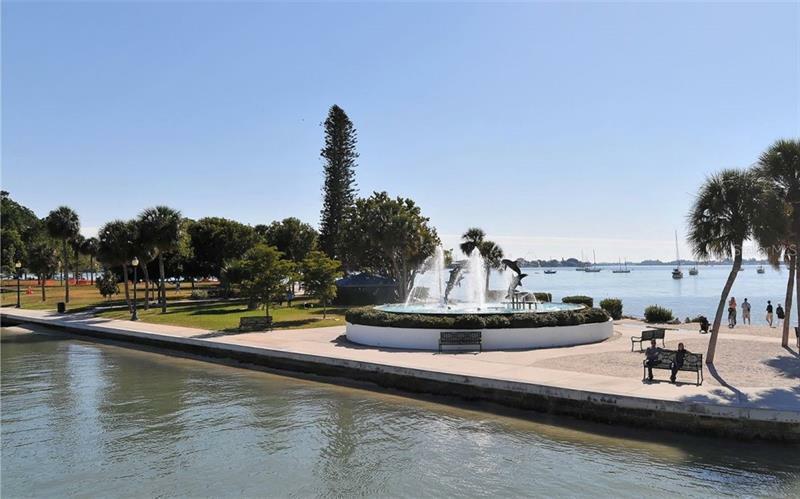 BEST DOWNTOWN WATERVIEW VALUE! 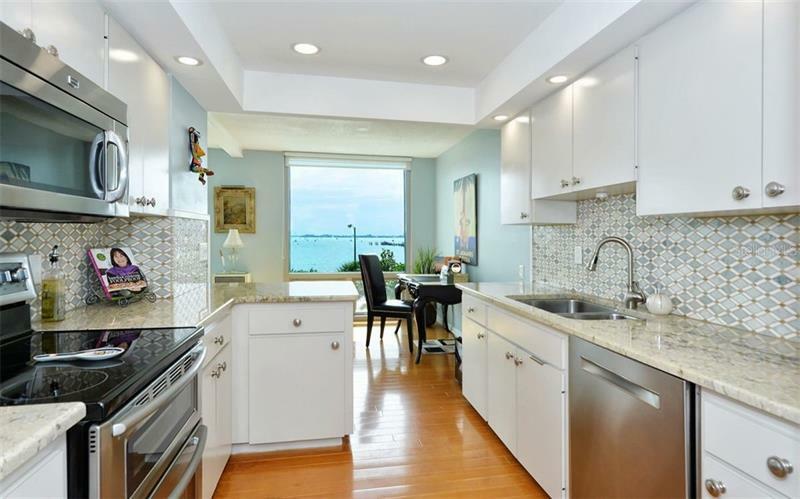 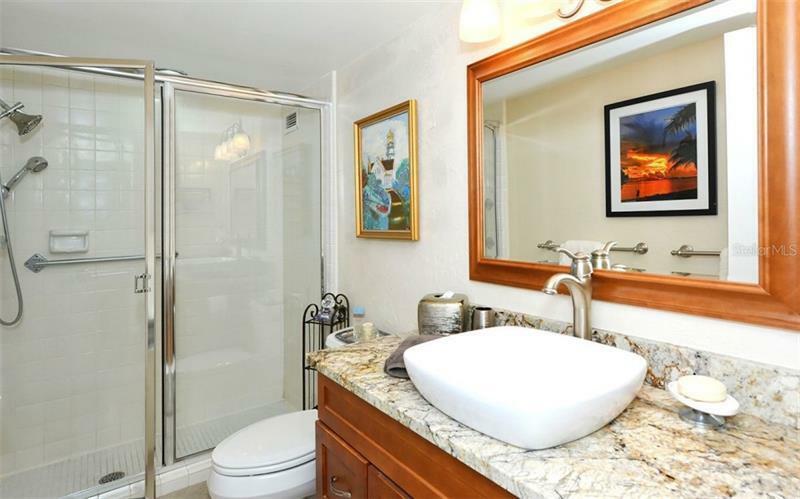 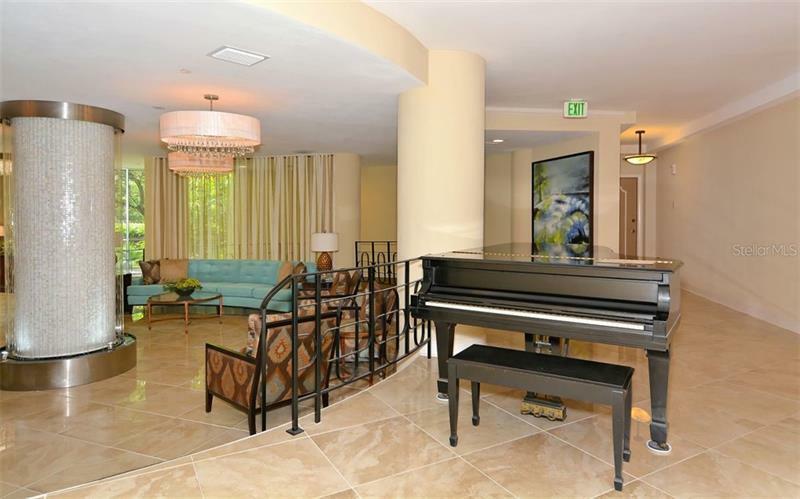 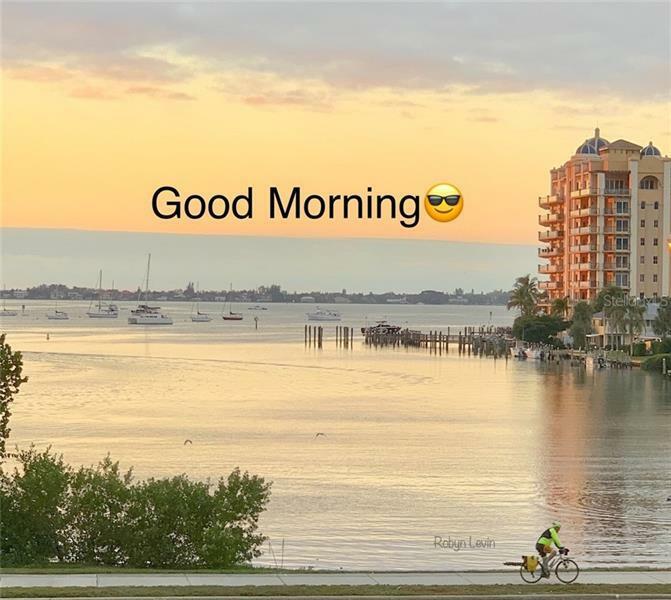 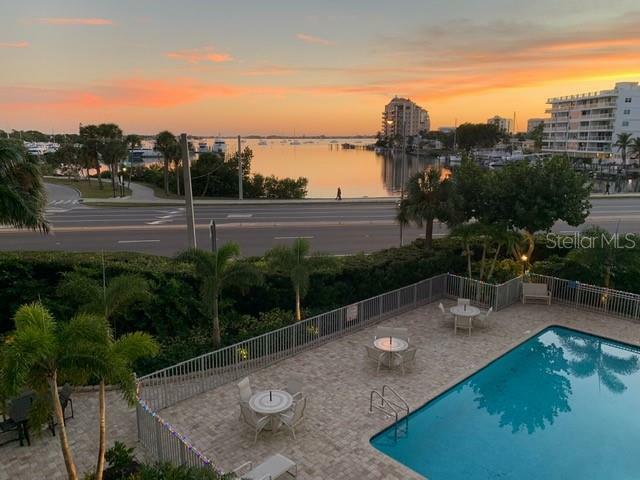 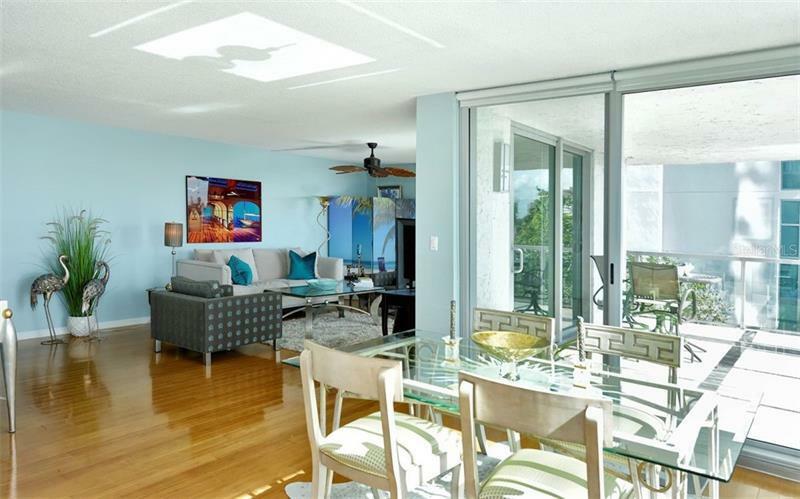 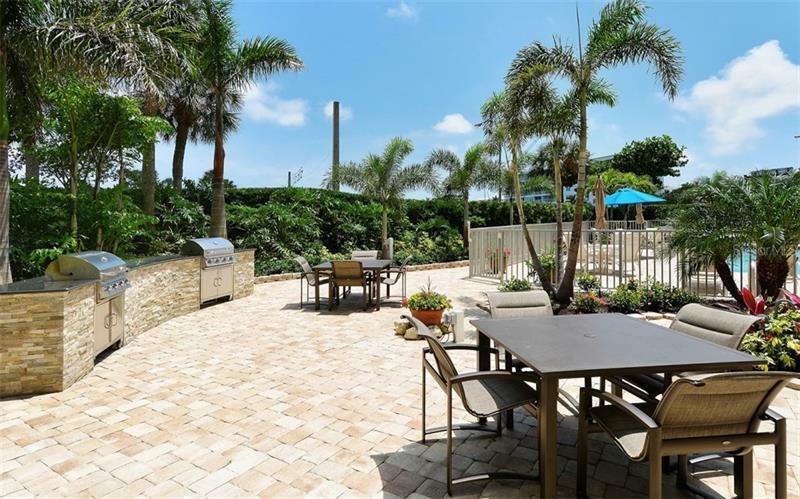 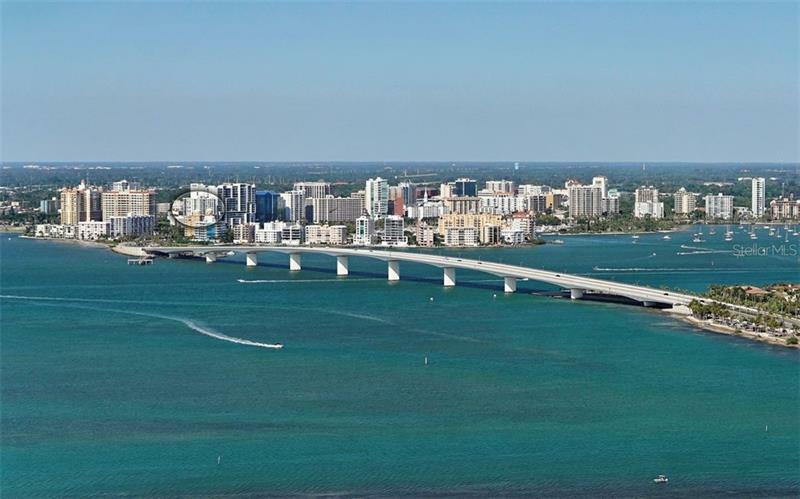 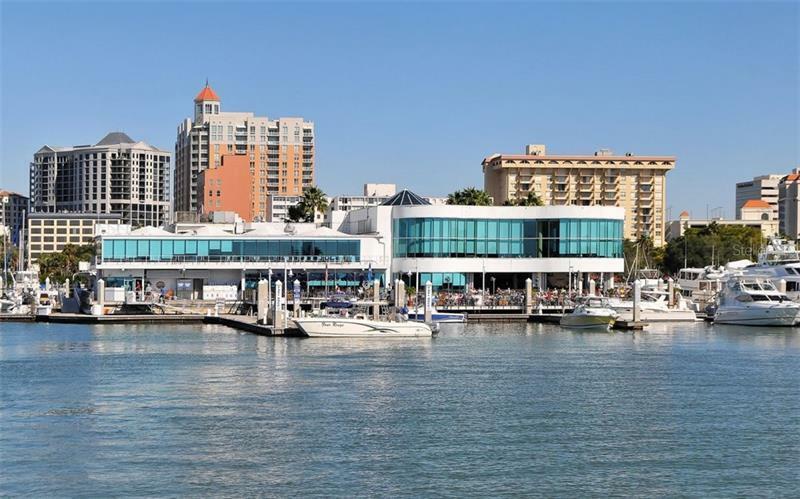 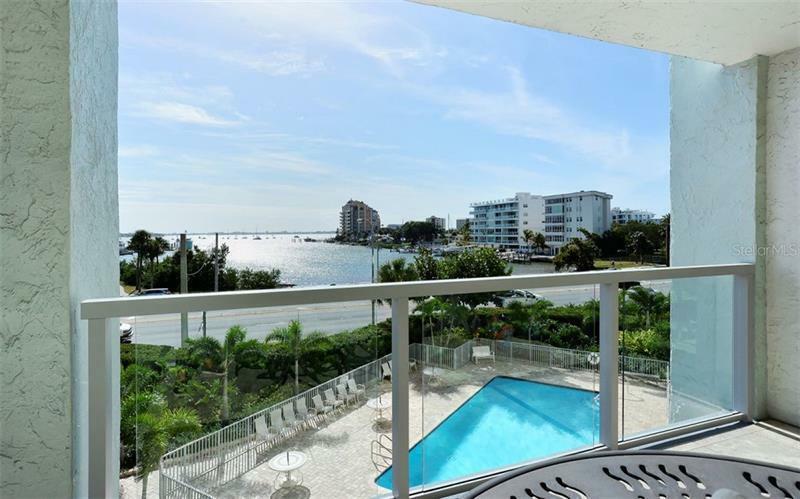 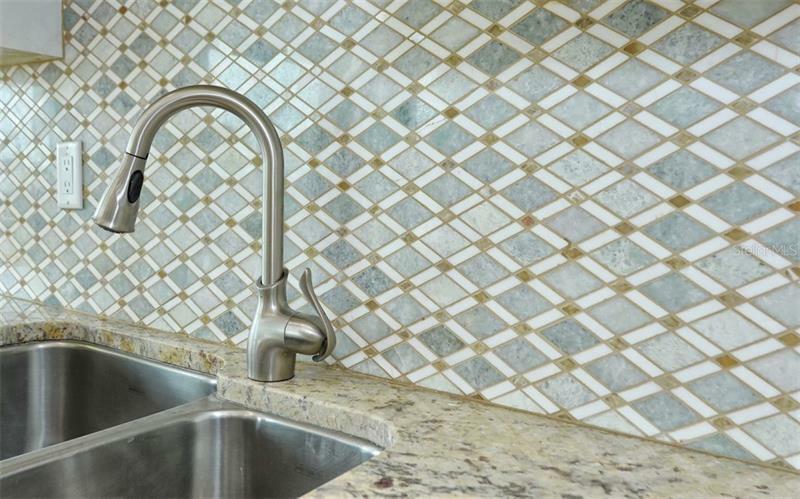 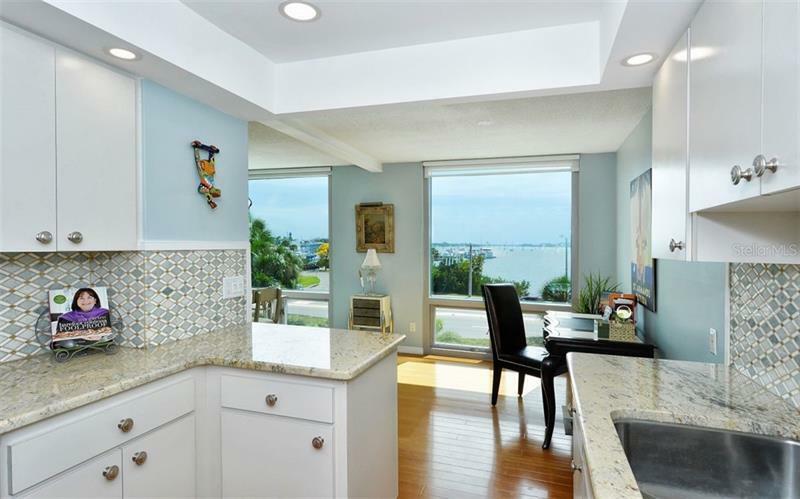 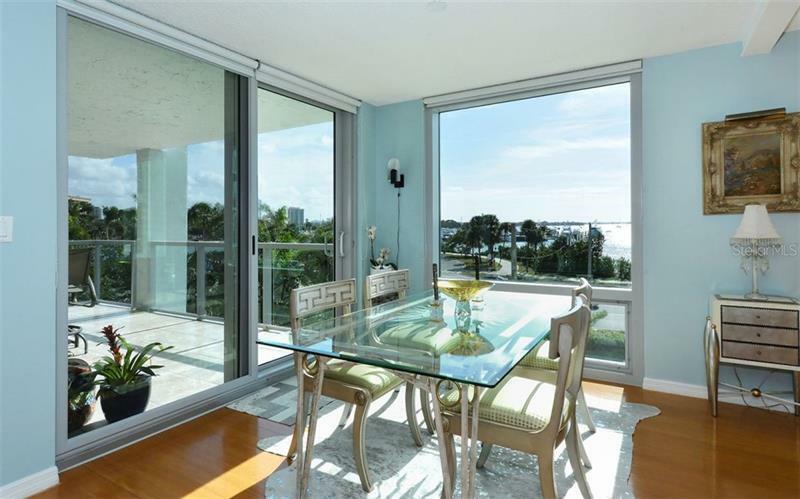 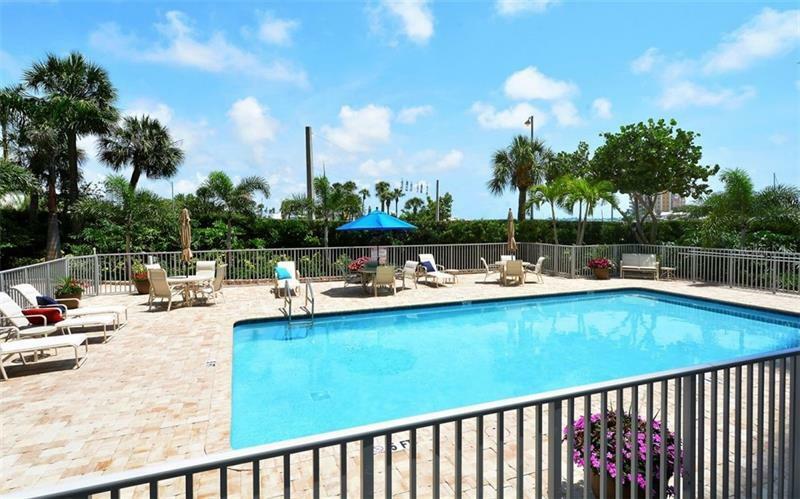 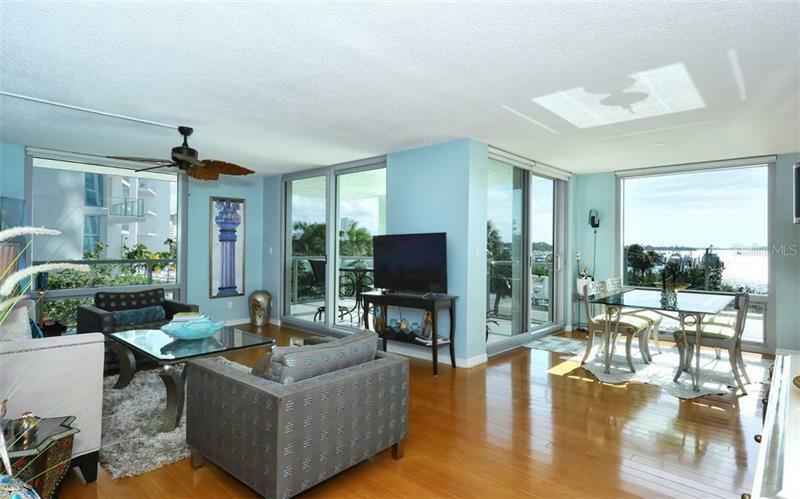 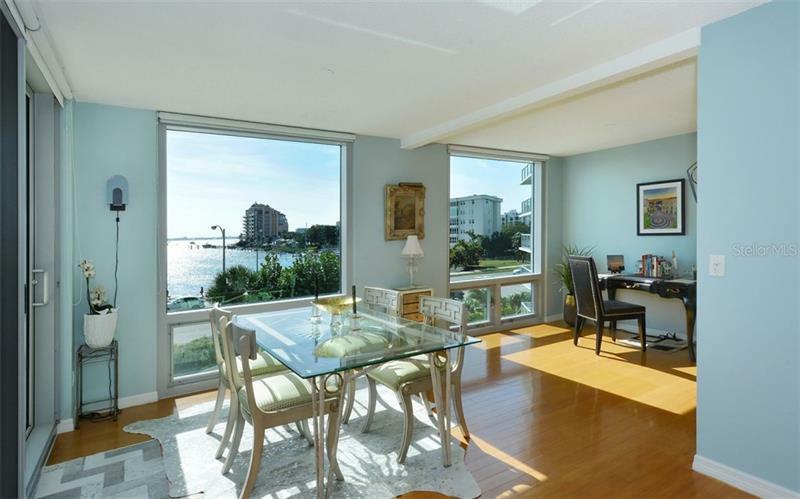 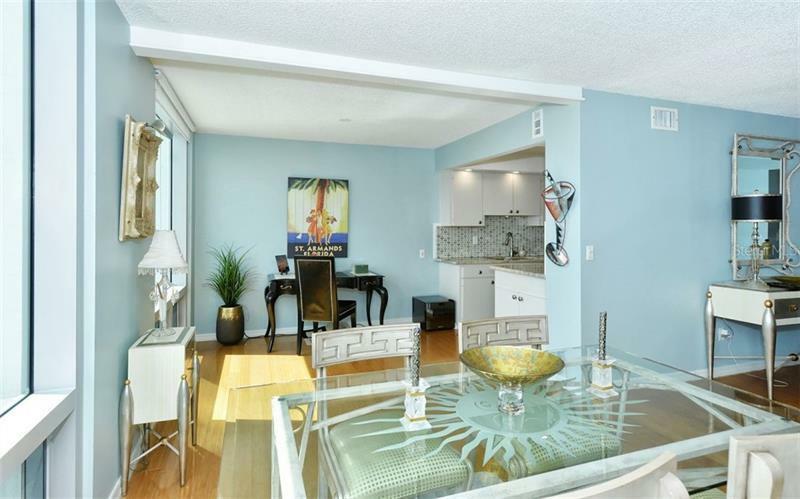 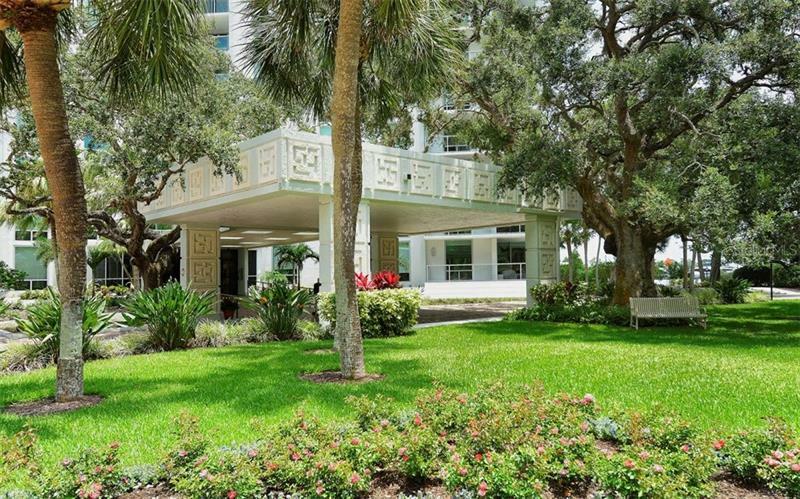 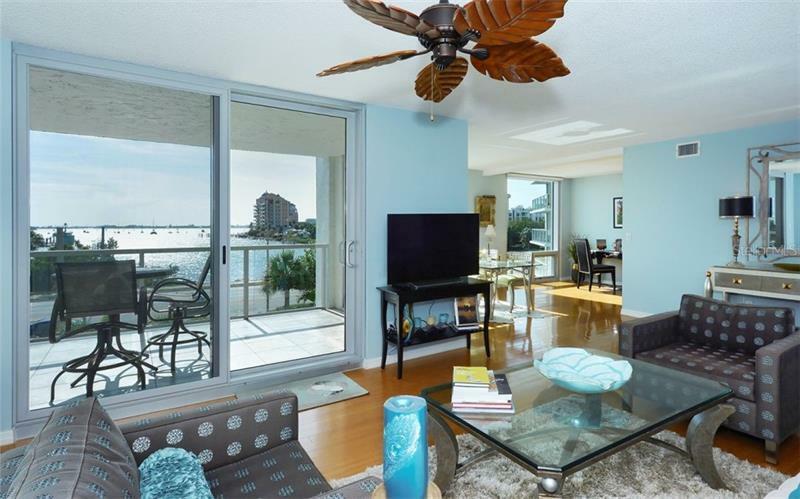 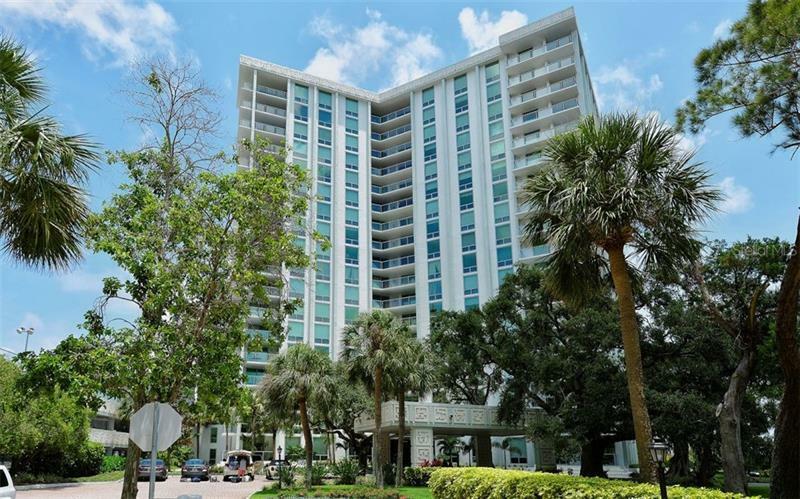 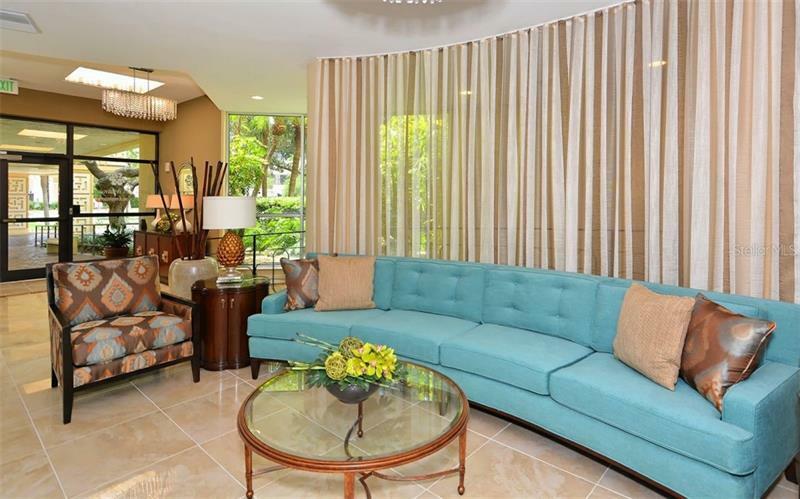 Fabulous direct bayfront $ million water views from this light beautifully decorated 2-bedroom 2-bath with den condo in newly renovated One Watergate on the waterfront of downtown Sarasota. 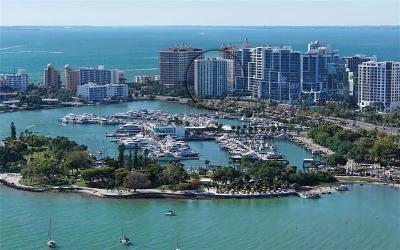 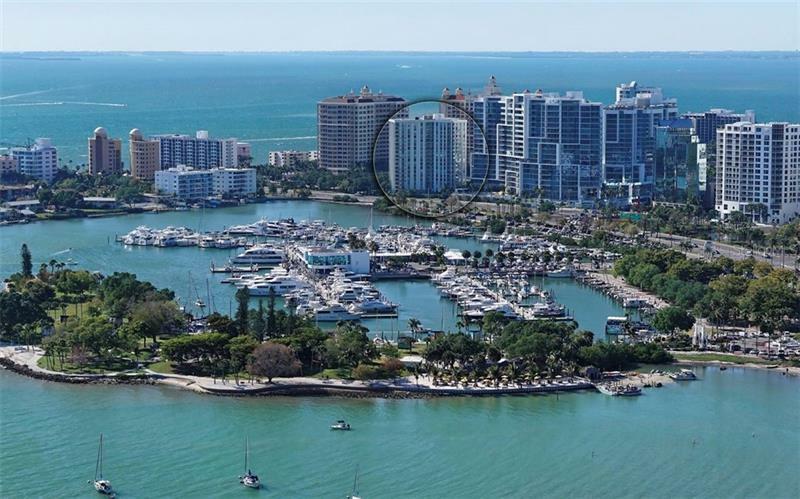 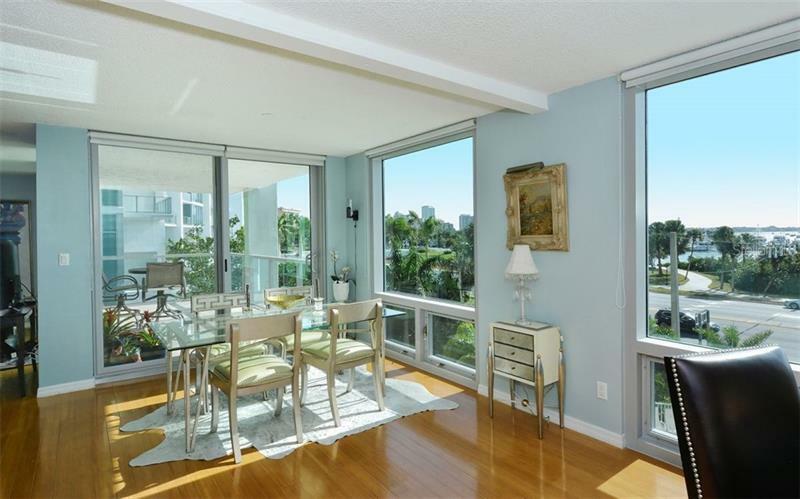 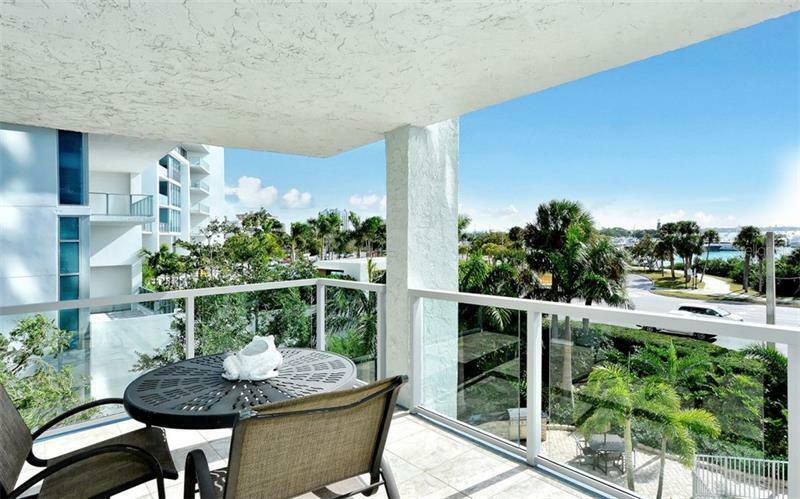 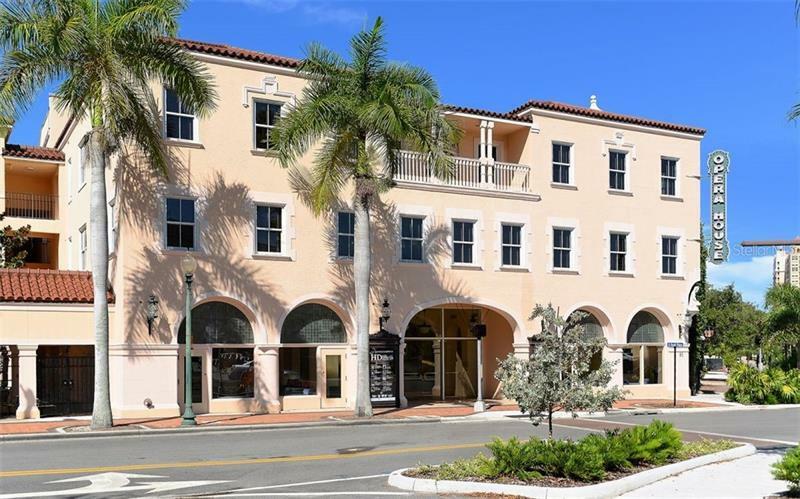 This coveted & largest 1736 square foot residence in the preferred "C" stack is a corner unit in the most desirable position in the building with its amazing water marina & city views. 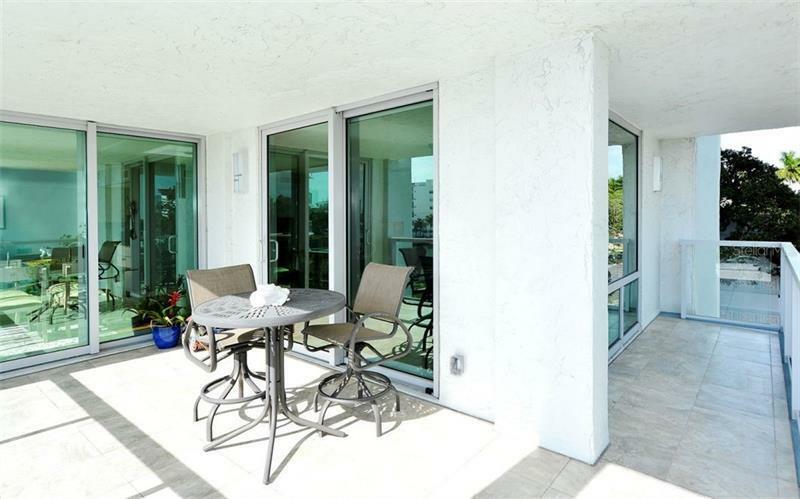 On 3 sides NEW IMPACT WINDOWS & DOORS overlook the large wraparound balcony with upgraded tile where you can watch the stunning sunrise wildlife & a resort-like view. 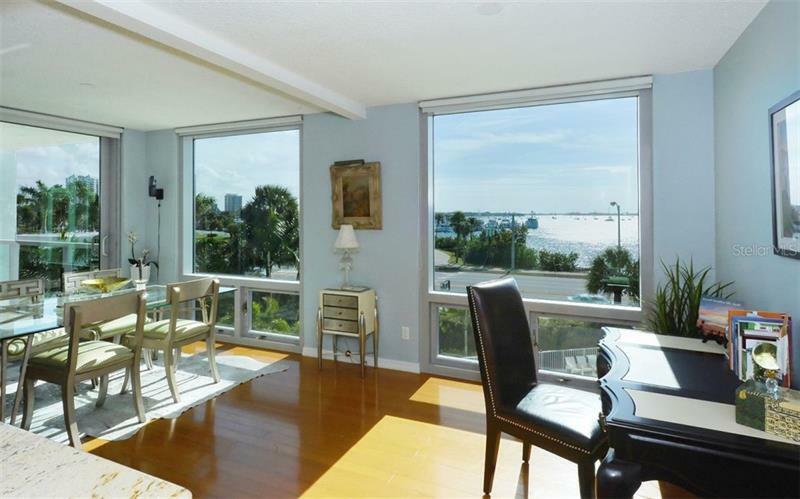 Watch dolphins play in the bay from your couch or kitchen. 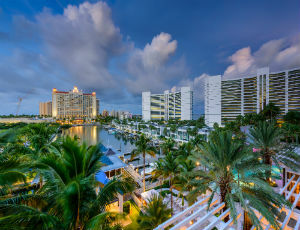 Nestled between the Ritz and the Westin you can walk to the Ritz spa & Westin rooftop bar. 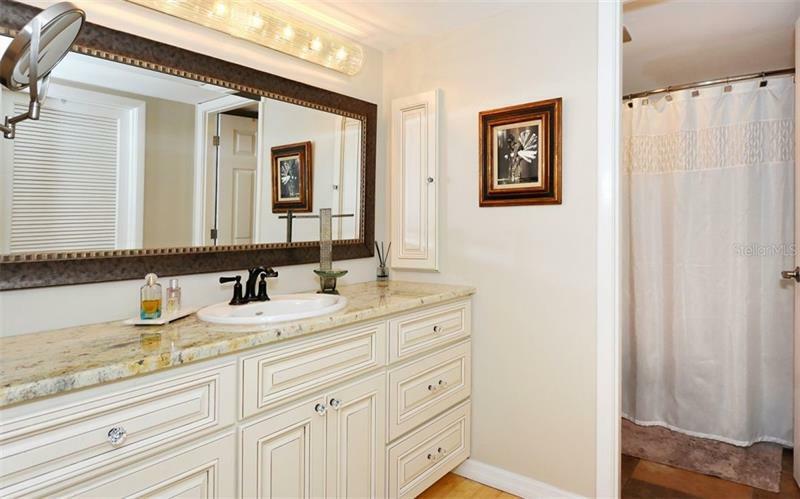 Wood floors with ceramic tile in remodeled bathrooms. 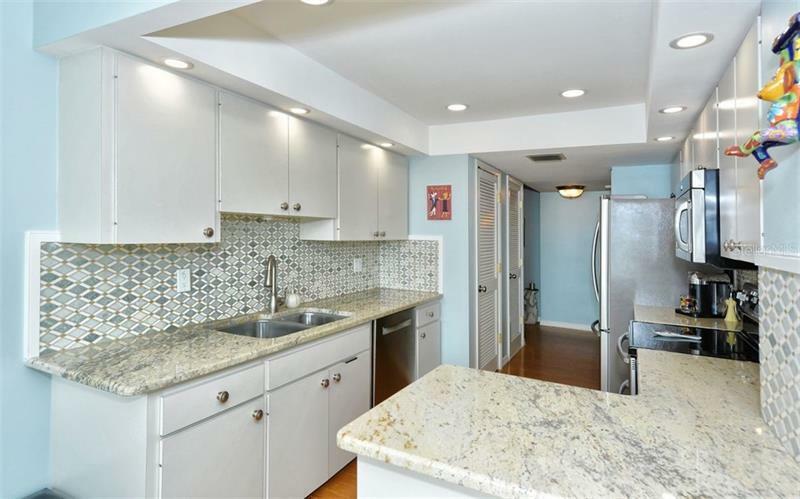 The kitchen with separate breakfast area is updated with granite countertops marble backsplash 2 pantries & stainless appliances. A spacious dining room lies off the living room with floor-to-ceiling windows. 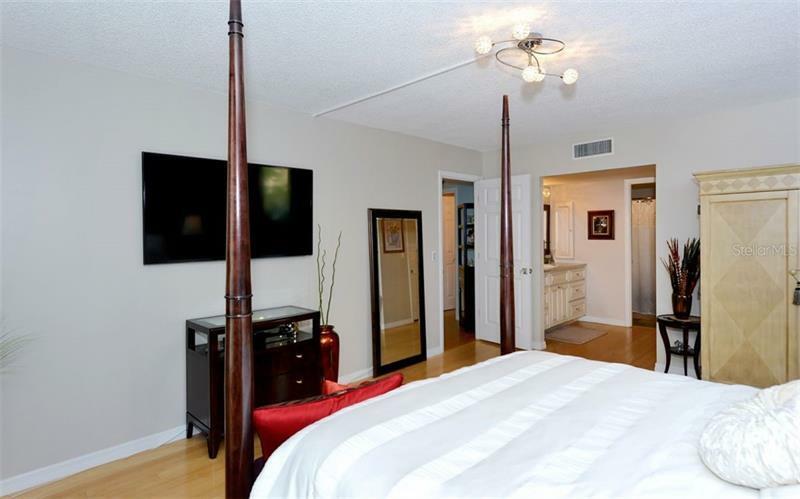 The oversized master bedroom has a large walk-in closet with built-ins. 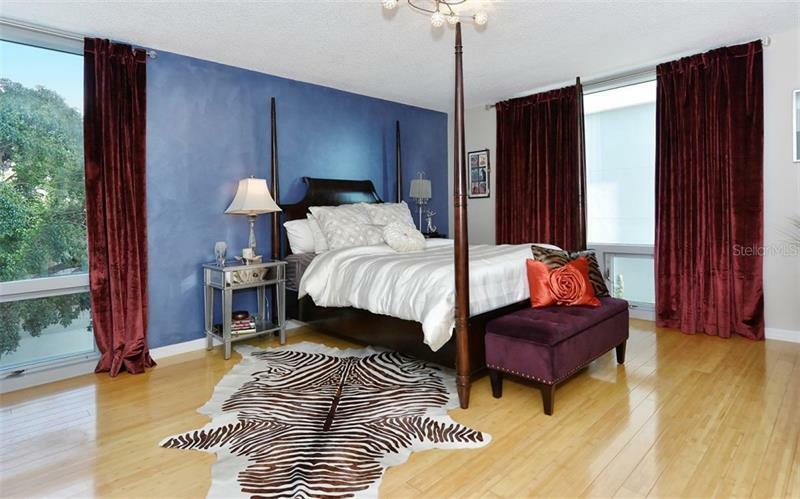 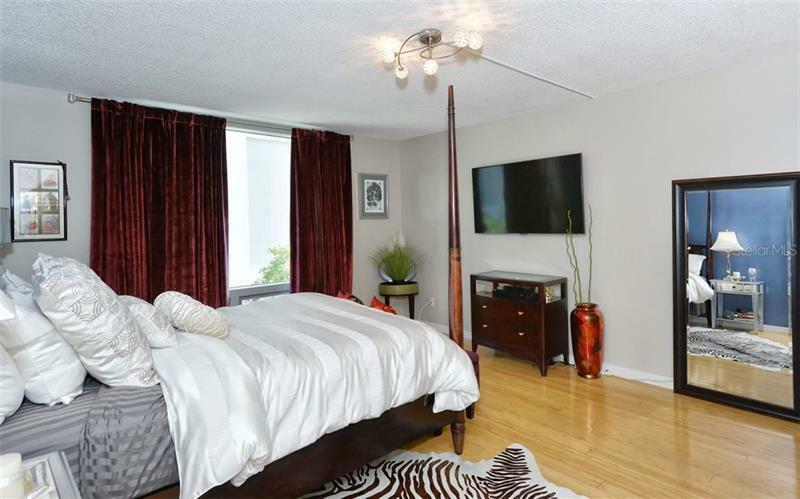 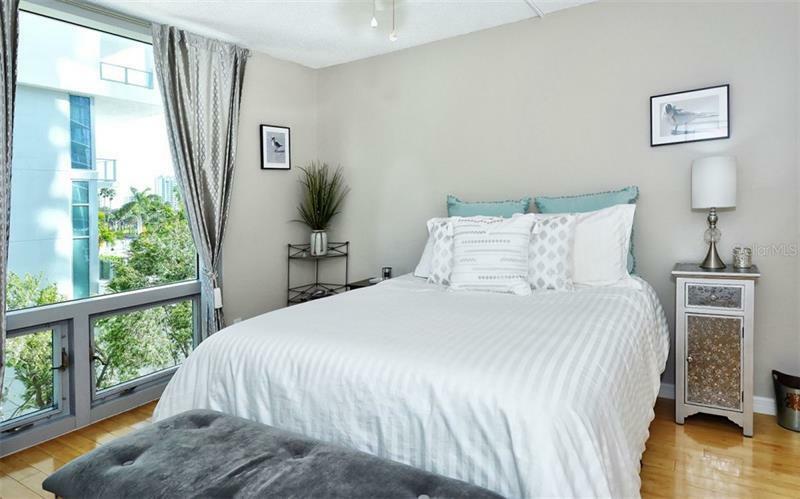 Secure building in prime downtown location with onsite manager & live-in maintenance man brand new heated saltwater pool pavered pool deck & grill area beautiful social room fitness bike & kayak storage & tennis. 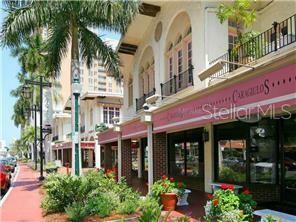 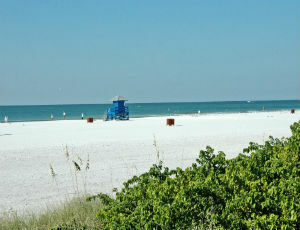 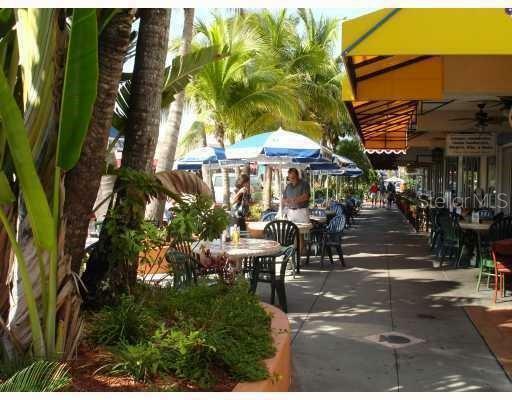 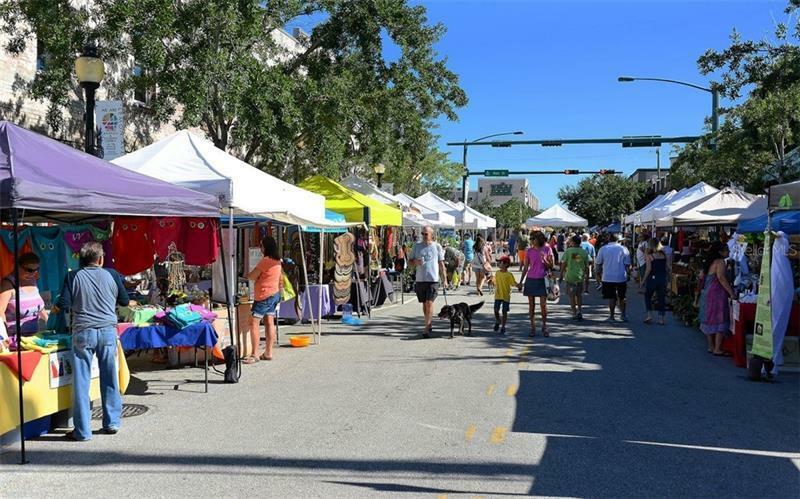 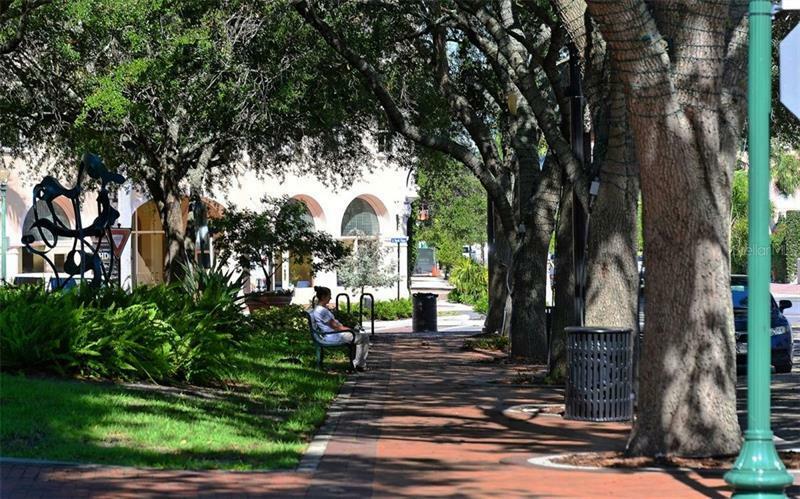 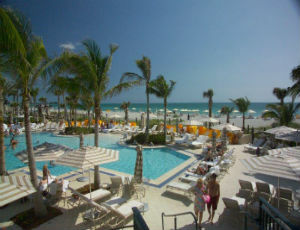 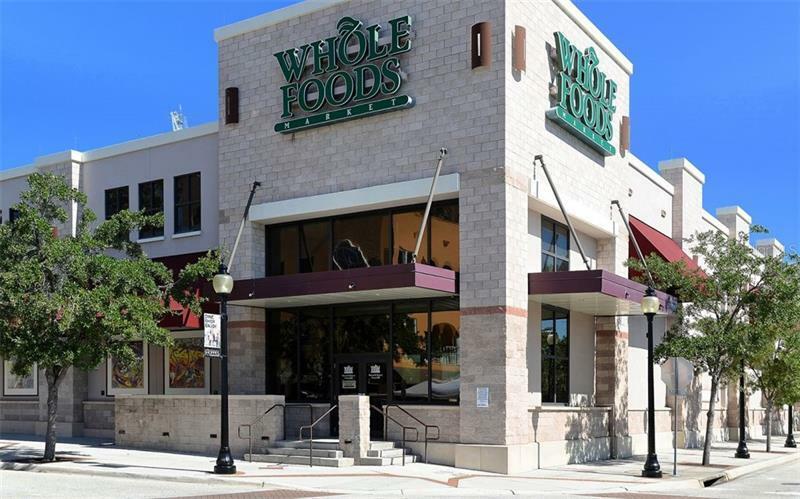 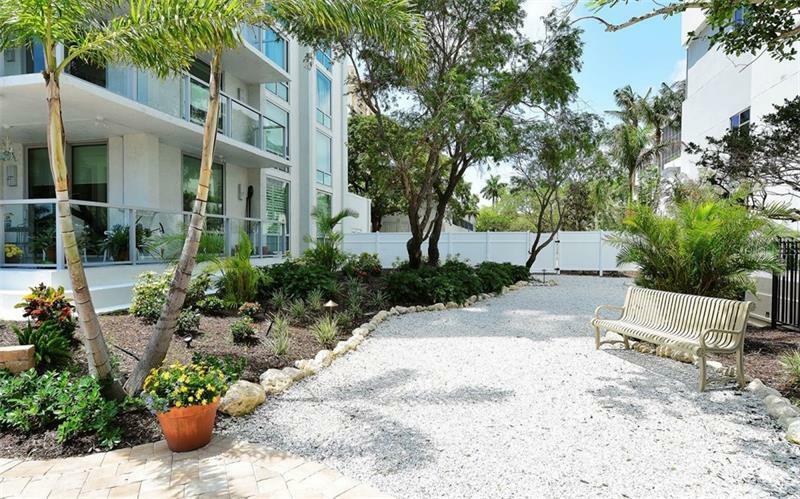 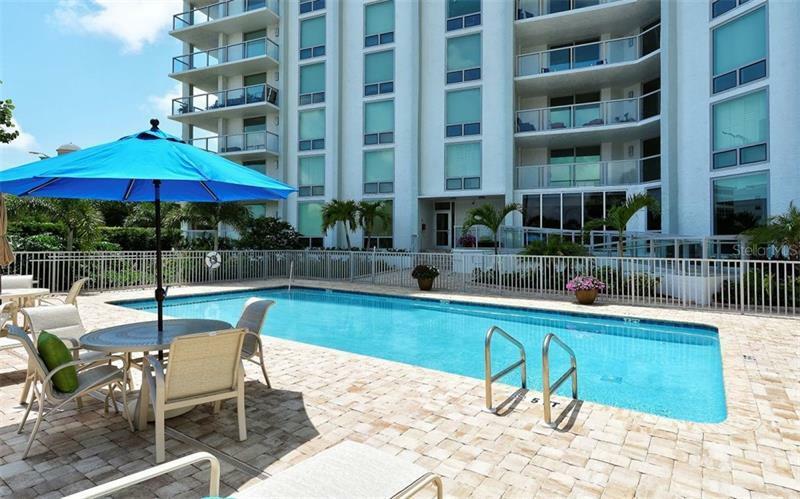 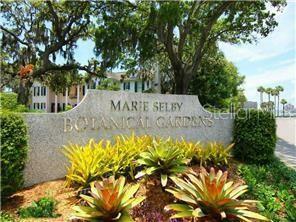 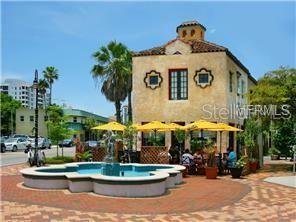 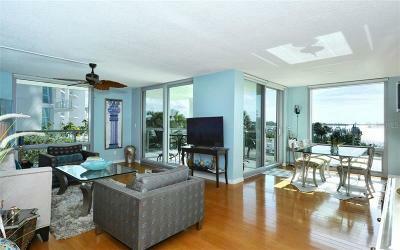 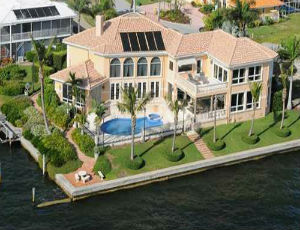 Walk minutes to downtown's dining shops theater & arts or walk the scenic bridge to Lido beach & St. Armand's. 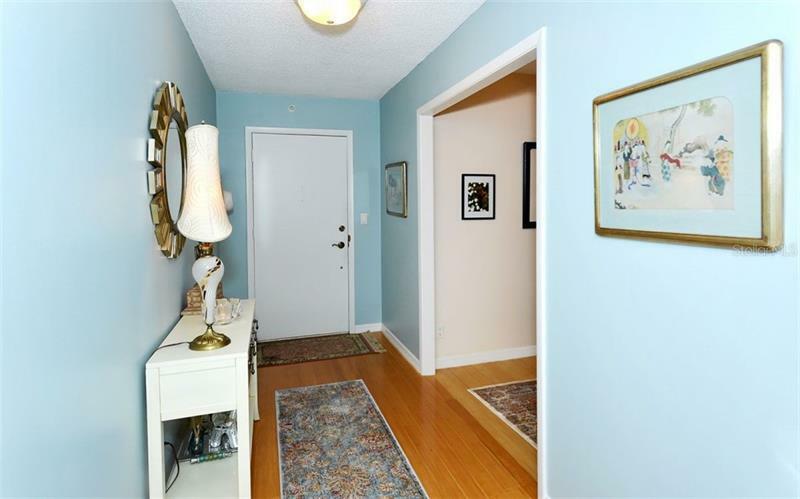 Secure garage space #147. 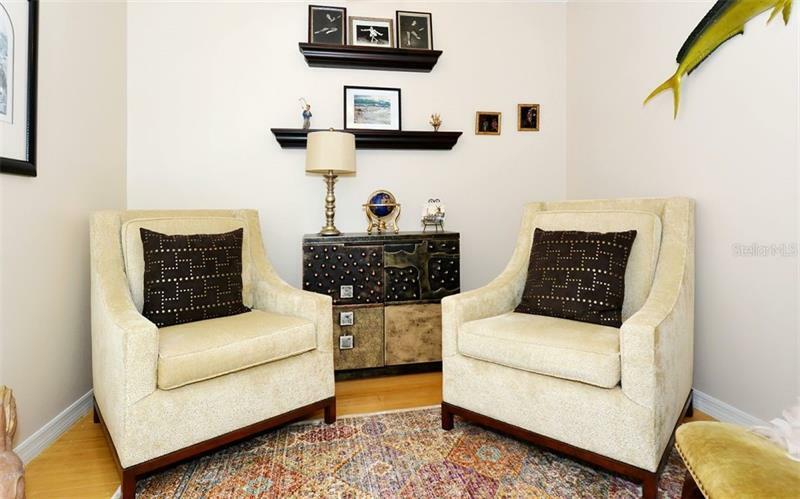 Furniture for sale separately. 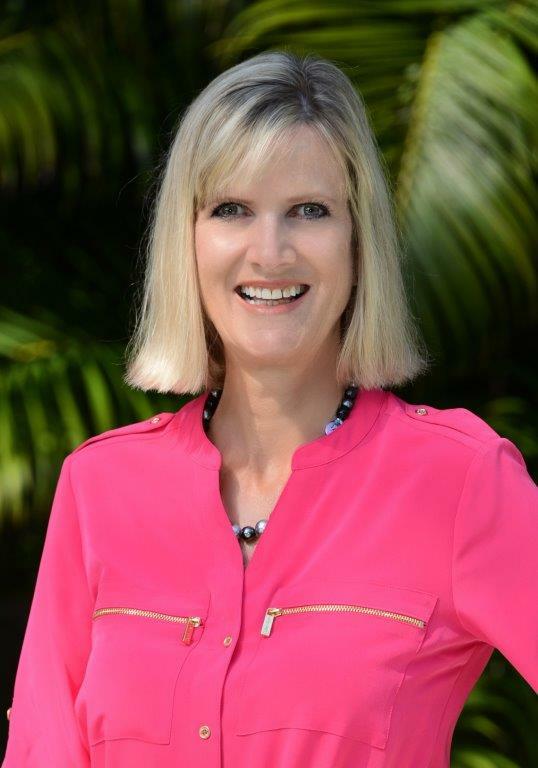 Act quickly to use this season - do not let this pass you by!